An often repeated mantra amongst those involved in Creative Writing is that if you write then you can call yourself a writer. While I would wholeheartedly concur with this, the fact is that if you are brave enough to pop your head above the parapet and proclaim yourself a writer the first question you will get asked is ‘ Are you published?’ Of course in the old days this was more straightforward : now Internet publishing, P.O.D and self-publishing cloud the issue. Anyway, what the questioner really means is will they be able to find your book on the shelves of W H Smiths or Waterstones! In that sense, then, maybe I don’t qualify. But over the years I have had many stories, articles and poems published in a wide range of anthologies and magazines. When BBC local radio broadcast short stories I was heavily involved in writing for them and in reading other people’s work. Two of my plays were performed at the Edinburgh Fringe and one, Turning the Tables, had a rehearsed reading at West Yorkshire Playhouse. My highlights? 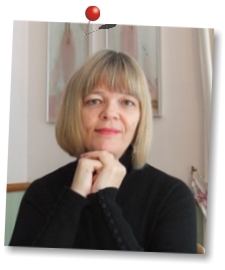 Having Paper Flowers – a serialised story – winning a BBC radio competition and then being read by Dame Judi Dench, being shortlisted for the Bridport prize and winning the East Yorkshire Libraries poetry competition with Six Words. Late in 2008, when I returned to writing seriously, I was lucky enough to be one of nine people, tagged ‘New and Gifted’, selected nationally by the Arvon / Jerwood Foundation, to be mentored by professional writers for one year. 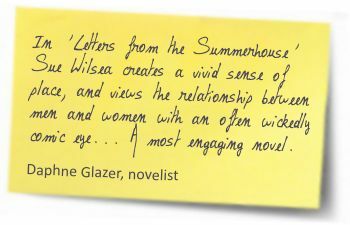 My mentor was the Booker shortlisted novelist Romesh Guneskera and with his guidance and support I was able – at long last – to finish my novel Letters from the Summerhouse, a 5,000 word extract from which was published in All of These Things are True and Not True in June 2010. In 2012 Valley Press published ‘Staying Afloat’ my collection of short stories, available from www.valleypressuk.com and I started a new novel, Looked After, which I completed while doing my MA year at Newcastle. 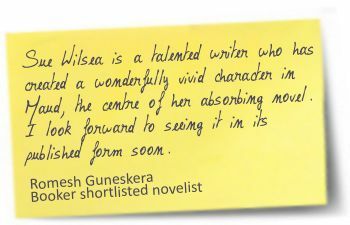 In early 2014 Looked After was longlisted for the Mslexia First Novel Competition.